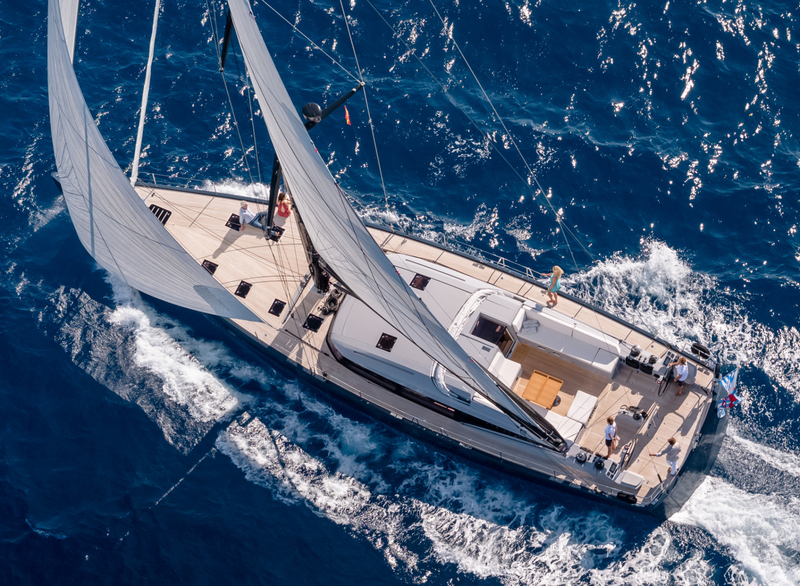 Sailing yacht J SIX was launched by CNB of France in 2016. 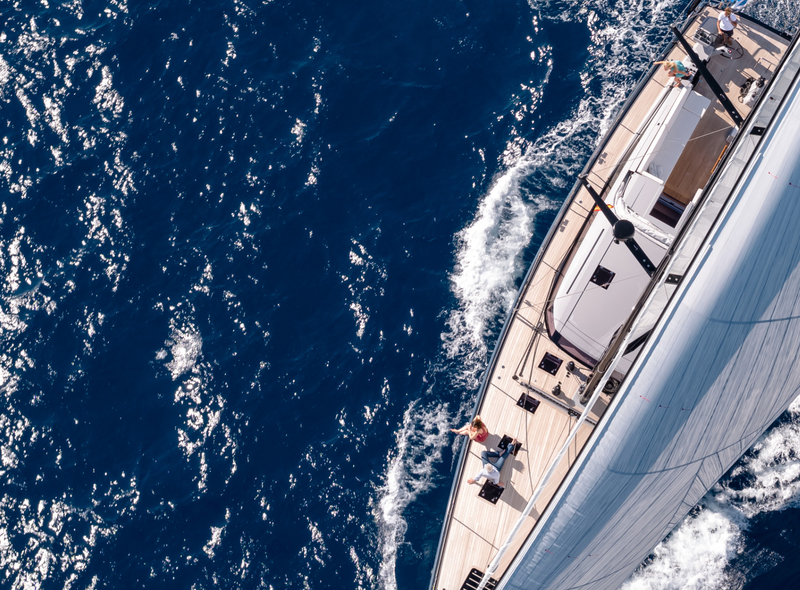 At 23,16m (76ft), she offers spacious accommodation both below decks and above, for up to 6 charter guests. Her naval architecture is by Philippe Briand. Her contemporary interior design is the work of Jean-Marc Piaton. The décor is a beautiful blend of light woods, supple white lining and neutral soft furnishings. The main salon features opposing sofas, convertible table to formal dining table, full entertainment systems and wrap around windows for optimum natural light. 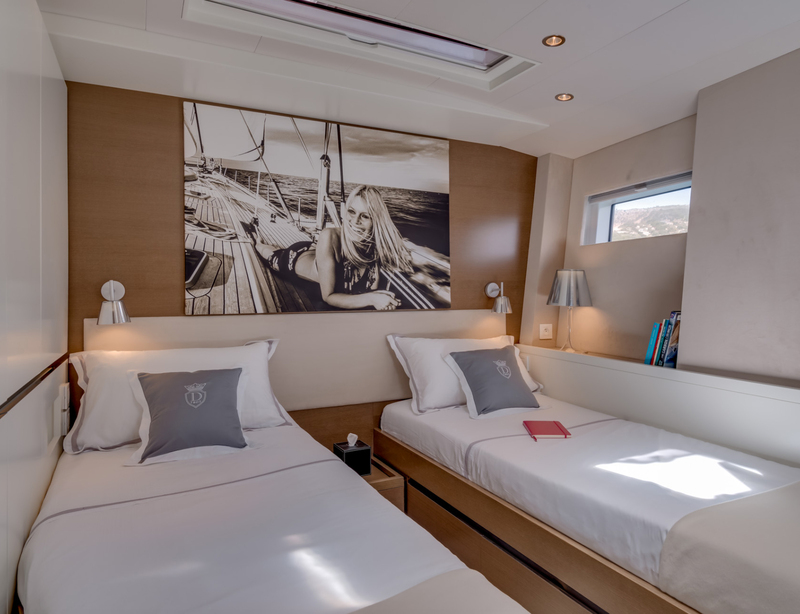 Guest accommodation is forward of the salon, in 1 master, 1 VIP and 1 twin cabin. A professional crew has separate accommodation aft of the salon, ensuring privacy. Deck space is capacious and laid in timeless teak. 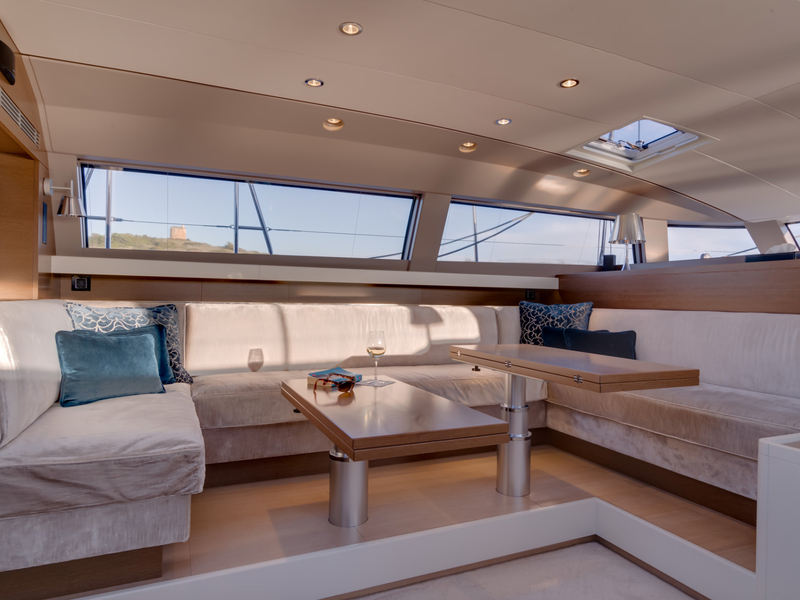 A companionway leads directly from the salon into the guest cockpit, with ample seating and an alfresco dining area. 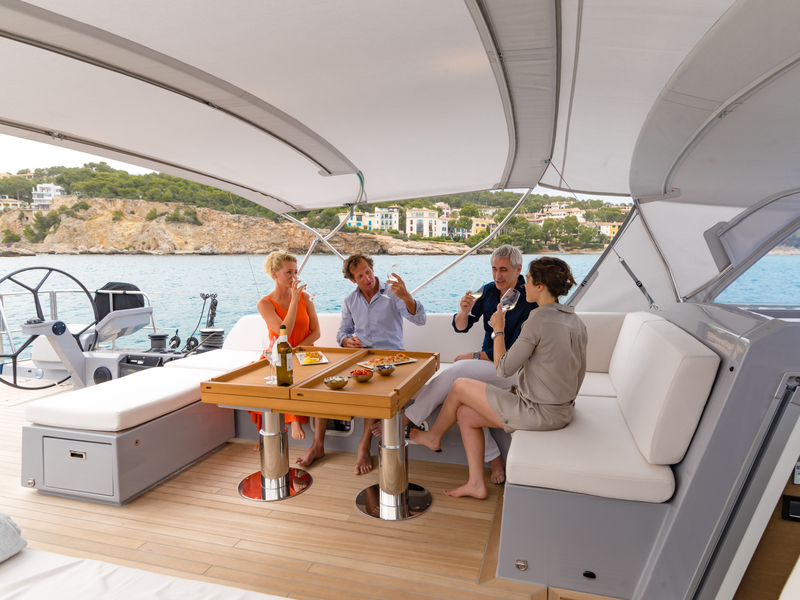 Enjoy the sun or shade with the optional Bimini cover. The cockpit has easy access to the dual helms and aft deck, thanks to the walkthrough design. 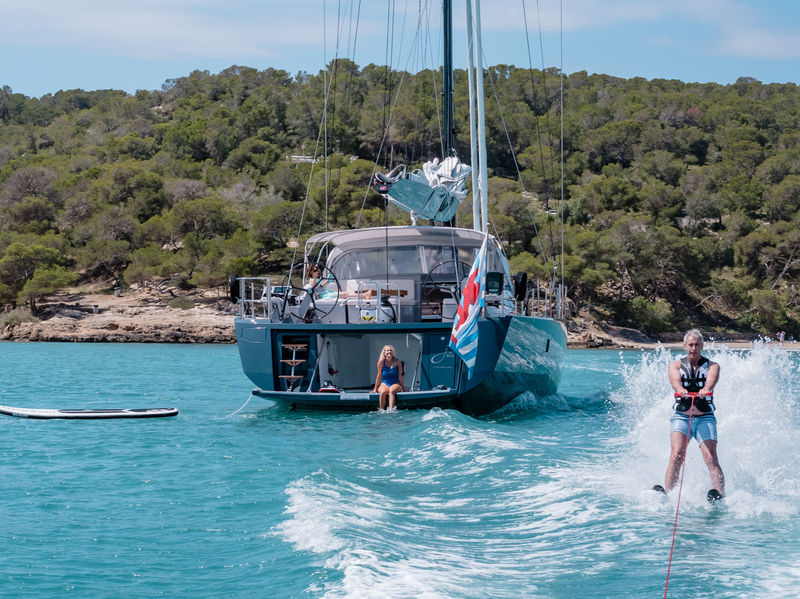 The CNB yacht boasts a large fold-out swim platform, ideal for enjoying the azure waters with little effort. 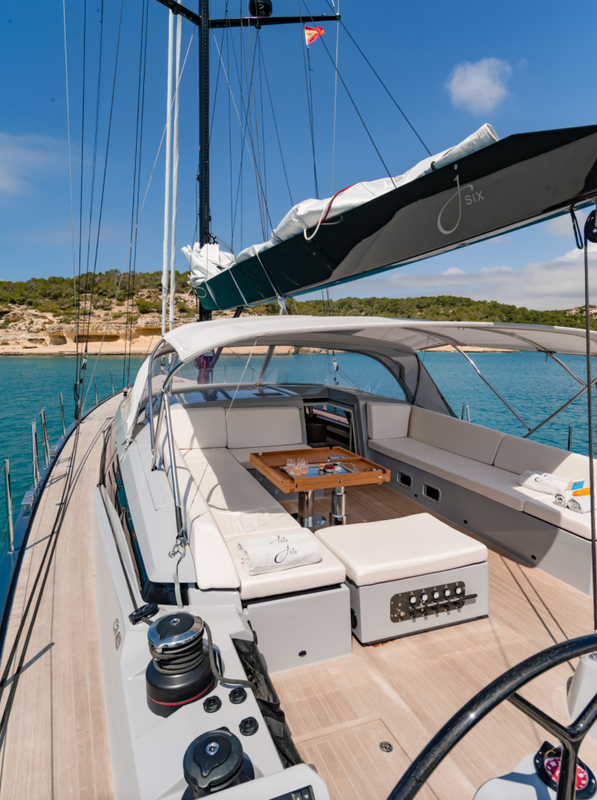 Her foredeck is very spacious and features flush to the deck hatches. 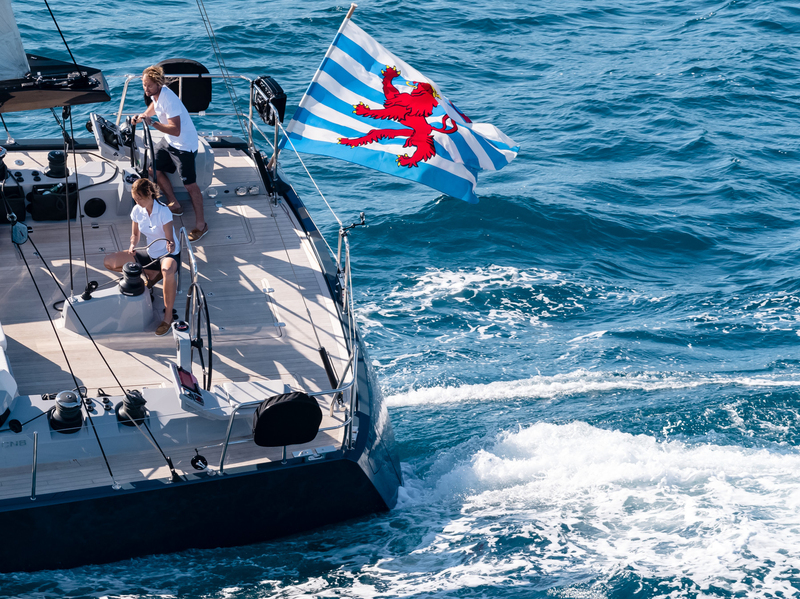 She has a Volvo Penta D4-180hp engine and under power is capable of 8 – 12 knots. 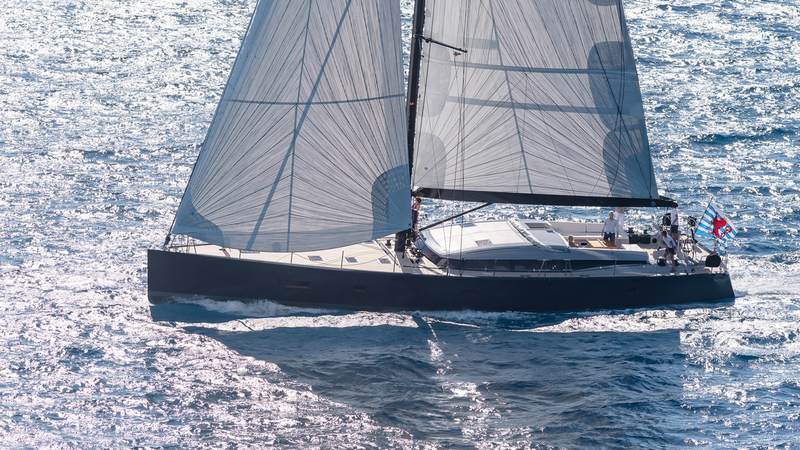 The yacht’s sleek black sloop rig is constructed of Hall Spars Carbon Fiber, her blue/green hull is stunning and quite distinctive. Guest accommodation is forward of the salon. 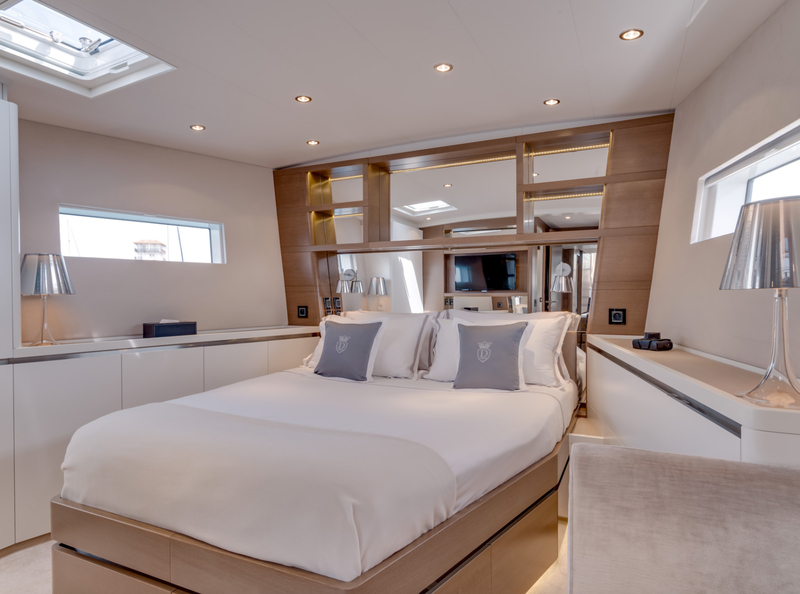 She offers a master cabin which is laid full beam of the yacht with a center lined queen size bed and TV entertainment. To port is a queen cabin that easily converts into a twin cabin. 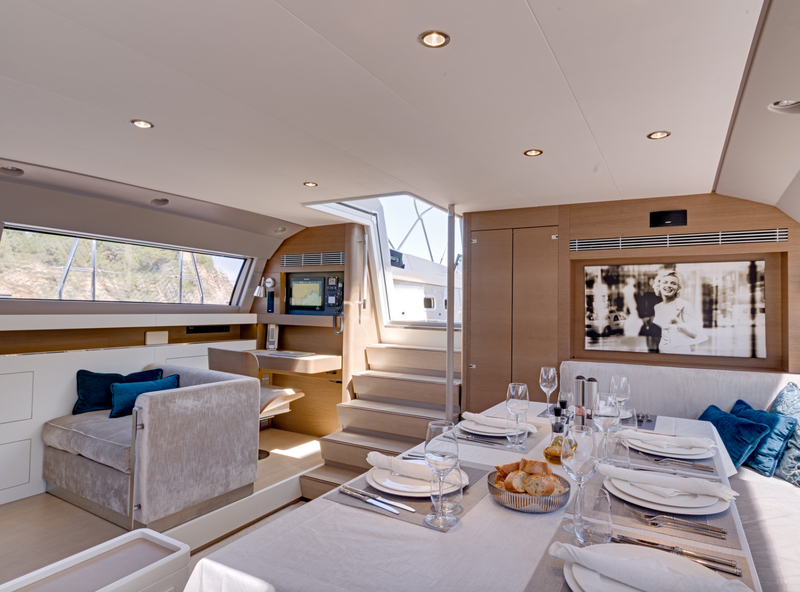 On the starboard side there is a twin cabin with upper and lower single beds. Each cabin features private en-suite facilities.